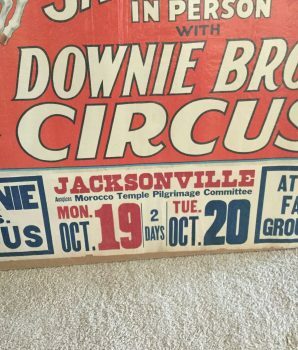 Circa 1930’s original Ringlet Bros Big 3 Ring Circus / Chas. 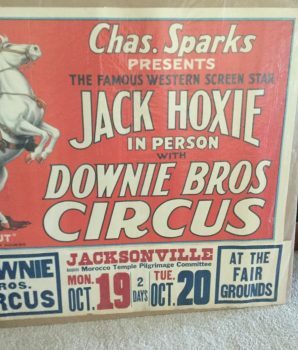 Sparks Presents the Famous Western Screen Star Jack Hoxie In Person and “Scout” the Wonder Horse. This includes a Rare Date Tag. A few old tears not effect the poster. 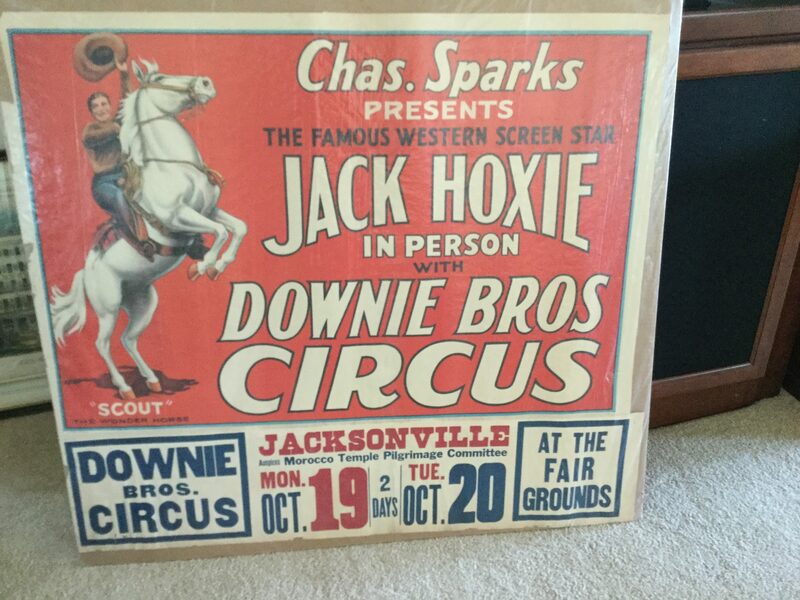 Overall a nice original poster. Jacketed in plastic. 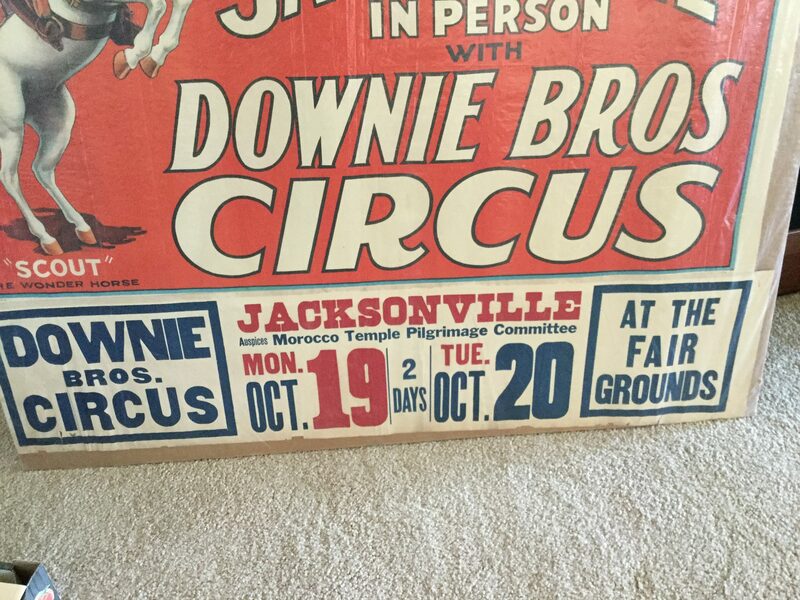 The plastic is wrinkled, not the poster. 36″H x 41”W. Please call for additional information or photos. $395 plus shipping.